Jeff Guidry began his career as a rock and rhythm-and-blues guitarist who has played with artists like Brian Wilson (of Beach Boys fame) and guitarist Roy Buchanan. 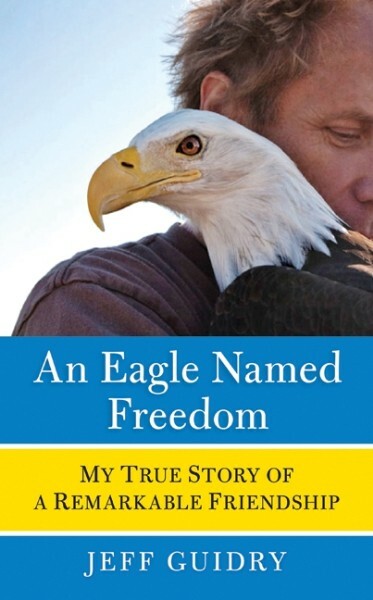 His spare time spent volunteering for the Sarvey Wildlife Center in Washington, and his years working with a bald eagle, Freedom, led to his book, An Eagle Named Freedom: My True Story of a Remarkable Friendship (William Morrow / HarperCollins). An in demand speaker, Guidry has been featured on Animal Planet, and has made many public appearances at schools, training centers, Native American pow wows, festivals, fairs, and other events to promote the rehabilitation and preservation of wildlife. His prese An Eagle Named Freedom presentation is a tender recounting of the past decade -- detailing Guidry and Freedom's individual battles to survive, as well as introducing the other wildlife and volunteers who were saved by Sarvey -- that will bring hope to anyone dealing with hard times or loss, and affirmation to those who believe in a spiritual connection between humans and animals. 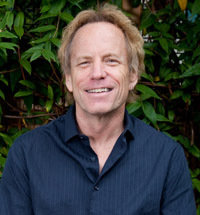 Guidry grew up in southern California and enjoyed scuba diving, body surfing, and underwater photography. His father was a dive instructor in the Marine Corps and they traveled to Mexico and Florida for cave diving trips and dove extensively around southern California. Guidry wound up with a rock band in Hollywood touring and recording. He played music for many years but after a while he knew he needed a new challenge. After moving to Washington state in 1988 when he retired from rock 'n' roll, and after working with the 'Eagle Watchers' program for a few years a friend suggested he investigate Sarvey Wildlife Care Center. He started volunteering every week, seeking something he could be as passionate about as music. That's when he found Freedom. From the moment Guidry set his eyes on the emaciated baby eagle with broken wings, his life was changed. She would one day be named Freedom, but for many harrowing weeks, Guidry and the other staff members at the Sarvey Wildlife Rescue Center did not know whether the eaglet would make it. When she defied the odds and lived, he became her devoted caretaker. Freedom would never fly, but she had Guidry as her wings and her mouthpiece in their educational programs. When Guidry was diagnosed with Stage 3 non-Hodgkins lymphoma in 2000, Freedom returned his gift. As he endured ferocious chemotherapy, when he felt strong enough, he would go to Sarvey and take Freedom out for walks which nurtured his spirit. He also began to experience Freedom's presence in his dreams -- and in his waking hours -- guiding him to fight the cancer. Eight months into his battle, on the day after Thanksgiving, Guidry went in for his last checkup and was told if the treatment had not worked that a stem cell transplant was his last option. But that Monday instead of facing the darkest of days, he was pronounced free from cancer. Guidry immediately headed to Sarvey, where he took Freedom for a walk. Somehow she seemed to know the significance of the day. She looked at Jeff and for the very first time wrapped both of her wings around him so that he could feel them pressing into his back, engulfing him in an avian hug. In March 2008 Jeff sent an email to a friend about what he experienced with Freedom that his friend innocently forwarded, never imagining that it would circle the globe, and Guidry received more than 10,000 emails from around the world in return. Guidry lives in Monroe, Washington.